Michael P. Ventrella, Sr., age 96, of Bethel, CT died Monday, August 20, 2018 at Danbury Hospital. He was the husband of the late Dorothy E. (Broadhurst) Ventrella. He was born in Bari, Italy, March 17, 1922, son of the late Nunzio and Michele Angela (Ammaturo) Ventrella, and came to America in 1932. He served in the US Army during WWI and Korea. Previously of Norwalk, he was a longtime resident of Bethel. Michael was a meat cutter by trade, was an avid coin collector and loved working in his yard. Michael is survived by his 4 children: Nancy, Patrick and his wife Patti, Maureen and Frank Ventrella; 15 grandchildren and 18 great grandchildren. 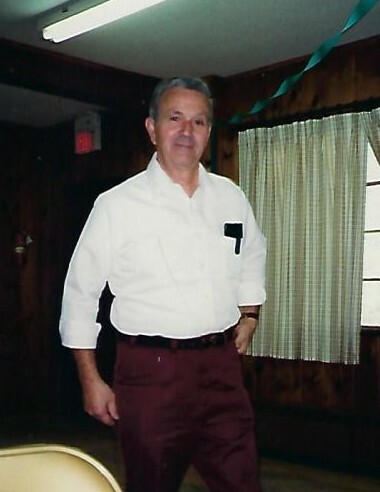 In addition to his wife and parents, he was predeceased by his son Michael P. Ventrella, Jr. The family will receive friends at the Bethel Funeral Home, 215 Greenwood Ave., Bethel, Wednesday evening from 5:00 to 8:00. A Mass of Christian Burial will be celebrated at St. Mary Church, 26 Dodgingtown Rd., Bethel, Thursday morning at 10:00 AM. Burial will follow at Elmwood Cemetery, Bethel.